Last updated Sunday, 10 February 2019 at 23:12:16. First submitted Sunday, 10 February 2019 at 23:11:52 by P Ian Till. 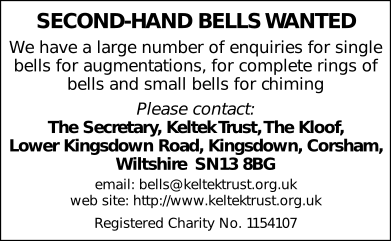 Sent for publication in The Ringing World on Sunday, 10 February 2019 at 23:13:20.